The market for healthcare has had an increase in competition over the years. Many healthcare professionals understand that times have changed and recognize that businesses needs to do more in their organization, but most of these professionals were not prepared for the intense competition. To win back their business and to keep themselves in the matchup, healthcare businesses need to adapt their current market strategies and implement more. 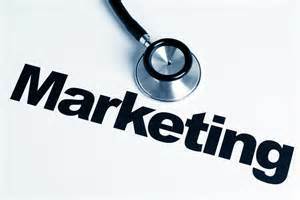 Unfortunately, some medical offices are stuck with the question of why there is a need to spend more money on marketing tactics to have greater success in competition; many professionals are hesitant to broaden their marketing scopes. With organizations now seeing that these rivalries have become more aggressive, having an open mind to a larger budget can help with the pressure of business reality. Businesses that have never relied on marketing and are dependent on patient referrals are having trouble with keeping their current patients as well as bringing more in; clearly, word of mouth isn’t working for the healthcare professionals who are struggling to stay afloat. There’s no excuse for businesses to be so reluctant to broaden their marketing opportunity – just because one does not understand a strategy does not mean that it won’t work for them once they learn what it does exactly. Not spending money on something you may not understand isn’t uncommon and the response is a “sticker shock” – the professional does not understand it and panics, freezing on whatever plan they may need because they are hesitant to implement it. But the sobering problem is that, while this “sticker shock” is common it is also a reason why many businesses ultimately fail. Accepting a new market plan, and spending the money on getting it, is extremely worth it and often times, a necessity. All businesses, especially healthcare ones, deserve to survive the current competition, and implementing a new marketing strategy may be the exact lifeline you need.